Ziftr is the PUP that uses misleading techniques to prevent removal. Use Reimage to locate malicious components and get rid of them faster than with uninstall instructions. A full system scan blocks virus reappearance and prevents traffic to malicious domains. How can Ziftr hijack my computer? How to remove Ziftr virus? 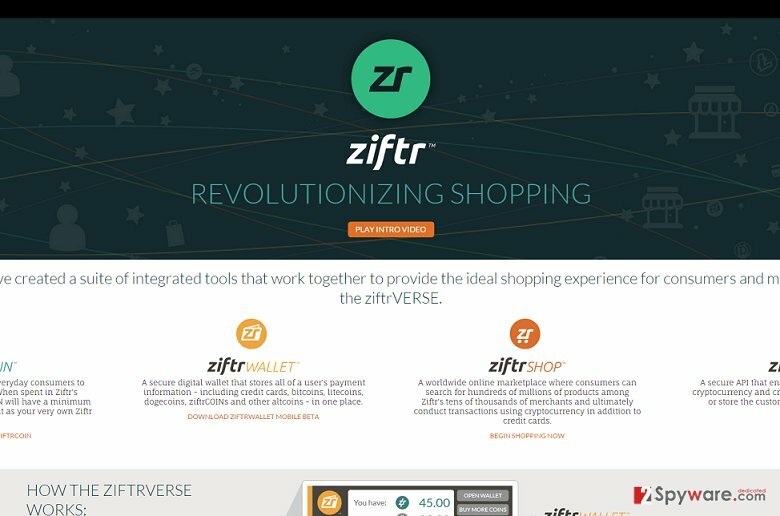 Ziftr is a tool operated by myVBO LLC and supposedly aimed at providing ideal shopping experience for consumers and merchants. This application is supported by third parties who seek to promote their websites, services, and items. Consequently, Ziftr is set to display various advertisements filled with various coupons, deals, discounts, promo codes and similar things brought from different merchants. Unfortunately, we have noticed that many people have been bothered by this app because it infiltrated their computer without permission asked and started initiating an excessive amount of ads. Besides, some of the Ziftr ads appeared to be irrelevant. 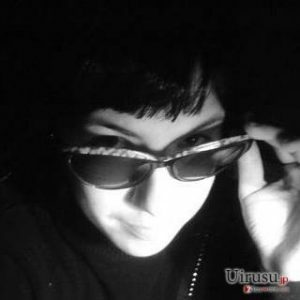 To be more precise, some of the ads were linked to suspicious websites that were filled with questionable content, such as installers of suspicious-looking software. Unfortunately, you can never know what third parties use this adware and what they seek to promote. In order to prevent landing on malicious websites that may be involved in virus or other potentially unwanted programs distribution, you should avoid clicking any of the ‘Ads by Ziftr’. By the way, this app is also known for tracking users and collecting information about their browsing habits (search terms, websites visited, data entered, time spent in them, etc.). However, it may also gather your IP address, email address, PC’s location and so on. Some pieces of information that Ziftr virus gathers may be personally identifiable; therefore, you should prevent its leakage to third parties. There are a lot of programs that are very similar to Ziftr, including NewPlayer, Browser App, RadioTotal, NanoSurfer and many others. If any of them have already started to generate pop-up ads during your browser, we highly recommend you to run a full system scan with Reimage or another reputable anti-spyware and remove it right away. These days people are tricked into installing various unwanted programs on their computers on a daily basis. That’s because ‘bundling’ distribution method, which is inseparable from various freewares and sharewares is widely used. However, Internet users should not blame anyone else but themselves when programs, such as Ziftr virus hijack their computers because potentially unwanted programs can be deselected quite easily during installation of other freewares. In order to do that, it’s very important to select a proper installation option and monitor the entire installation process carefully. If possible, never select Quick or Basic installation option because it may be treated as your consent to install the freeware with ‘optional components’ without informing you about them. In contrast, op for Advanced or Custom installation option and carefully read every notification. Your task – to find ‘additional components’ (add-ons, plug-ins, toolbars, extensions) that are set by default and unmark them. If you leave any programs set by default, they will be automatically installed and you may start seeing ‘Ads by Ziftr’, experience redirects, system slowdowns and so on. If you are not willing to experience all that, you should be very careful when installing freewares on your computer and keep a reliable anti-spyware installed. Here, look for Ziftr or any other recently installed suspicious programs. Wait until you see Applications folder and look for Ziftr or any other suspicious programs on it. Now right click on every of such entries and select Move to Trash. When in the new window, check Delete personal settings and select Reset again to complete Ziftr removal. Once these steps are finished, Ziftr should be removed from your Microsoft Edge browser. Here, select Ziftr and other questionable plugins. Click Remove to delete these entries. Now you will see Reset Firefox to its default state message with Reset Firefox button. Click this button for several times and complete Ziftr removal. Here, select Ziftr and other malicious plugins and select trash icon to delete these entries. Click Reset to confirm this action and complete Ziftr removal. Here, select Extensions and look for Ziftr or other suspicious entries. Click on the Uninstall button to get rid each of them. Now you will see a detailed dialog window filled with reset options. All of those options are usually checked, but you can specify which of them you want to reset. Click the Reset button to complete Ziftr removal process. This entry was posted on 2015-03-10 at 00:45 and is filed under Adware, Viruses. You can quickly scan the QR code with your mobile device and have Ziftr ads manual removal instructions right in your pocket. How did you remove Ziftr ads?